Two-way telephone service to U.S. The moment you arrive, your every need is taken care of by our professional staff. Swim in the heated pool, snorkel off the rocks, or relax and sun bathe on the huge deck overlooking the beach. Enjoy exquisite Mexican and International Cuisine prepared by our classically trained chef. Our concierge can arrange a variety of activities for you including: boating, fishing, horseback riding, a rain-forest adventure or a trip to Tequila. We’re here to help you make memories that will last a lifetime. 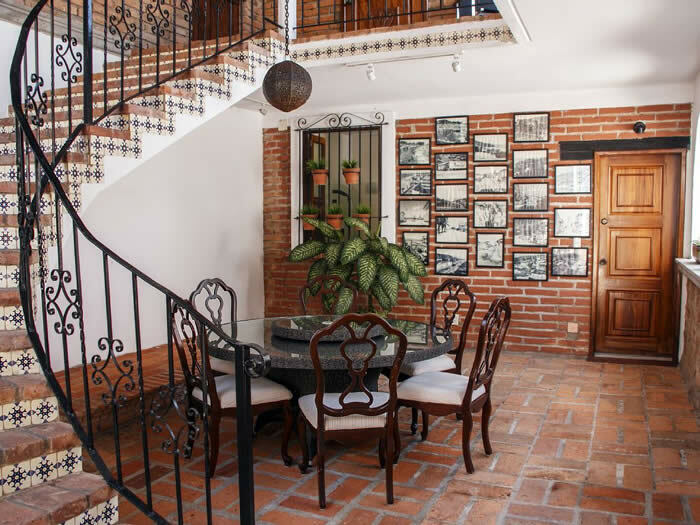 With over 12,000 sq ft of living space including and open living and dining area set under an enormous palapa, Villa Verde is a classic example of “old style” Vallarta architecture. Villa Verde's location is ideal because is in the quiet exclusive Conchas Chinas beach area, and only a 10 minute walk to town. 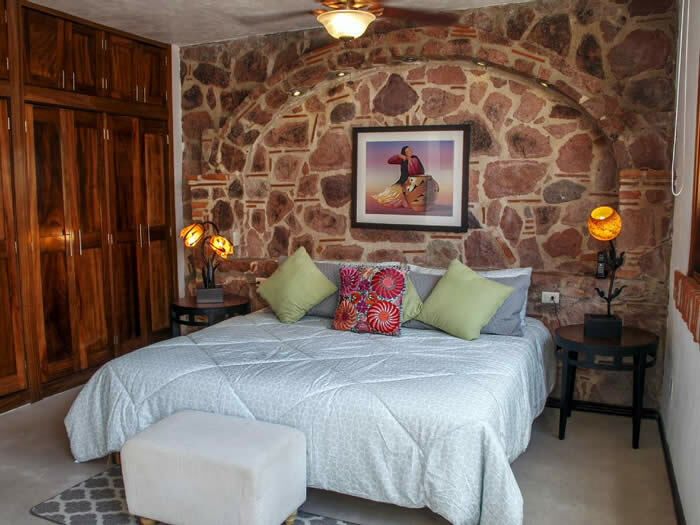 The villa features five air-conditioned bedrooms each with a private bathroom, a heated pool, huge patio overlooking the beautiful Conchas Chinas beach and a full staff to pamper you. From the moment we stepped out of the van we were in awe. The staff met us with margaritas and cool towels. The bedrooms were all amazing so we quickly settled in and took a quick tour before heading to the pool. Chef Juan seemed to cook effortlessly and his meals were all to die for. There were 8 of us (family and friends) and we did our best to lounge in all the different seating areas. The view was breathtaking and the beach was wonderful — not crowded at all. The fact that the living area is all open to the tropical breeze was really just delightful. We took a sailboat trip to Los Arcos, we wandered thru the town, and the guys went out fishing but we really didn’t want to leave the property because it was so relaxing. It was very well maintained and had everything we needed. We’d all like to return. I would definitely recommend the property. My family of 6 arrived from Vancouver and Boston on the 21st of Dec. We were greeted with awesome Margaritas as soon as we stepped out of our car service that Rita had arranged for us . Casa Villa Verde was breathtaking! The pictures do not do it enough justice . 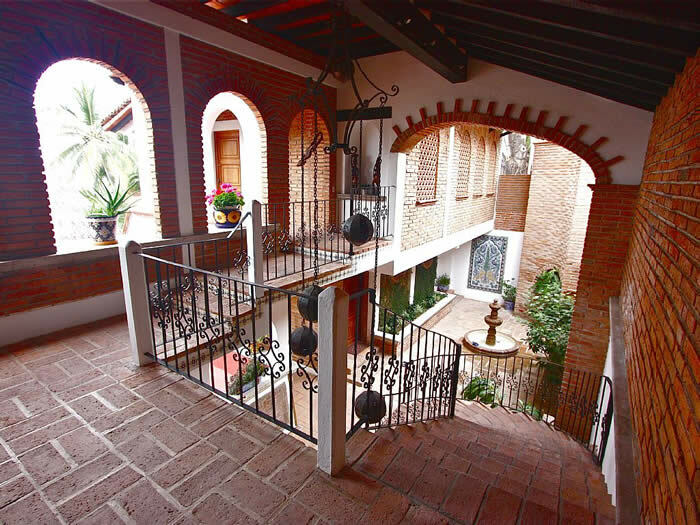 The villa is designed with incredible Mexican architecture throughout . We felt like we were in a Mexican “castle” with the finest of all furnishings from outdoor cast iron patio furniture to indoor lounge sofas and family style round dining table fit for an entire village of people. Our individual bedrooms were very large, with views of the ocean from every room, and marble bathrooms. We always bring our own Charlie Brown style Xmas tree with us wherever we go at this time of the year so we feel the true magic of Xmas . We were so surprised and delighted to see they had a 7 ft tall Xmas tree totally decorated to the nines, in the main living area . It was gorgeous, and felt like Christmas in “our home” for the week. The staff , whom we now consider to be our new friends, were so accommodating to every need and want we could possibly wish for. The main chef Juan is an absolute sweetie. He made vegetarian meals for our one daughter, while keeping the other half of our clan happy with meat dishes too. Everything he made was meticulously thought out, spiced to our taste buds, and was delicious. It is an obvious conclusion that he has so much love and passion for what he does and it shows in everything that he cooks and creates. Jovani was his sous chef/ bartender/ pool boy/ who was also a sweetie. He whipped up new cocktails for us daily, once he figured out we like “fresh squeezed grapefruit juice “ that he took the time to squeeze by hand himself for us. Our maid Veronique was great too, and even did a few loads of cloth for us for a little extra tip. Rita, the concierge/ house manager was on top of everything! She would check in every day to make sure things were perfect and.they were. We’ve been coming to P.V. for 8 Years now for Xmas, have stayed at various different locations, and this was by far the most “unique and special “ place we’ve ever stayed at. It felt like home , even though it was over the “top” with such luxuries because of the style and warmth from both the staff and the villa itself. Our last evening we hired a Marachi band to play for us on the beautiful deck with the sunset in the background. It was truly magical for our family, memories we feel so blessed to have. From the moment you step into the house your jaw hits the floor. Absolutely breath taking. One of the most beautiful coast lines you will ever see. The house is literary on the beach, as you walk downstairs you see an amazing swimming pool and deck area and then you approach the handrail and see the waves crashing on the beach right at your feet. Snorkeling is only steps away in clear and warm ocean water. An utterly unforgettable vacation. Harry’s house is one of a kind with a staff equal to that. Rita is always a phone call away and takes care of you more than she should. Chef Juan works his magic as often you like. Let him make the menu choices for you…you will enjoy truly authentic Mexican food. To say we enjoyed ourselves in an understatement. In fact we enjoyed Harry’s home so much that we have already booked our stay for next year. I have traveled all over Mexico and have found that Puerto Vallarta is now my favorite place to visit if not live. 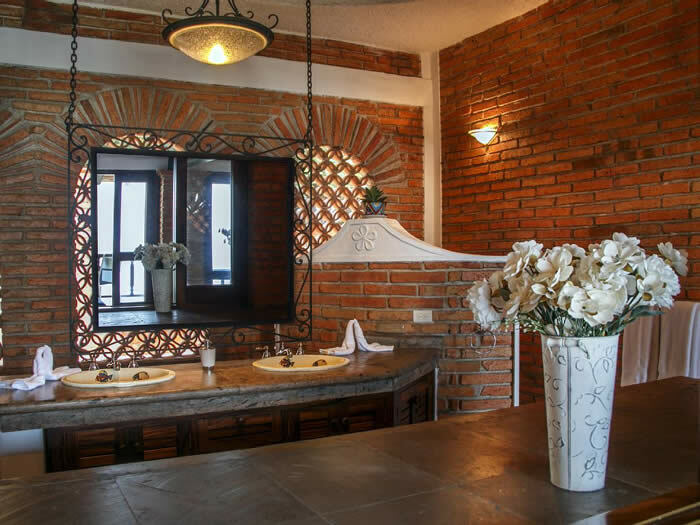 Please do yourself a favor and visit Casa Villa Verde for an extraordinary vacation experience. Harry was extremely helpful with recommendations of things to do and any information you could possibly need. Get out and explore the Marina, the Malecon and Old Town along with the amazing golf courses near by. I would recommend using Uber in lieu of taxis. Literally our average Uber ride was around $2.00 USD. I highly recommend this destination!!! I have stayed in villas in the Conchas Chinas area on several occasions over the years. This was an exemplary experience, however. The property is spacious as are the rooms. The pool was the right size. The beach is literally in front of the property and is pristine. This is why we saw several wedding photo sessions during our stay. There are several rocks jutting out from the water that harbor crabs that scurry over the rocks, sea urchins and tiny barnacles. It is a small ecosystem in itself. I cannot say enough about the staff. They are very guest oriented and helpful. The chef, Juan, is superb. My kids are vegan (not me, however- Juan made traditional comidas mexicanas for me) so we threw Juan a curve ball which he mastered quickly and seemed to see this not as a nuisance, but clearly enjoyed the challenge. Juan is a classically trained chef (and a wonderful teacher as well) and really showed his chops (pun intended). He is also knowledgeable about, and gave us discourses on, the history of Mexico, the origin of dishes and ingredients used. It was the best dining experience I have ever had while staying at a villa (or anywhere else). You will like the proximity to downtown,. which you can get to by walking about 15 minutes along the beach. Knowing we would be walking around town, we opted to pay $5 for a taxi ride. We had no reason to rent a car. Let me wrap this up by saying my family was extremely happy with our decision to stay at Casa Villa Verde. I would very highly recommend you stay here as well. Harry’s home is simply amazing. 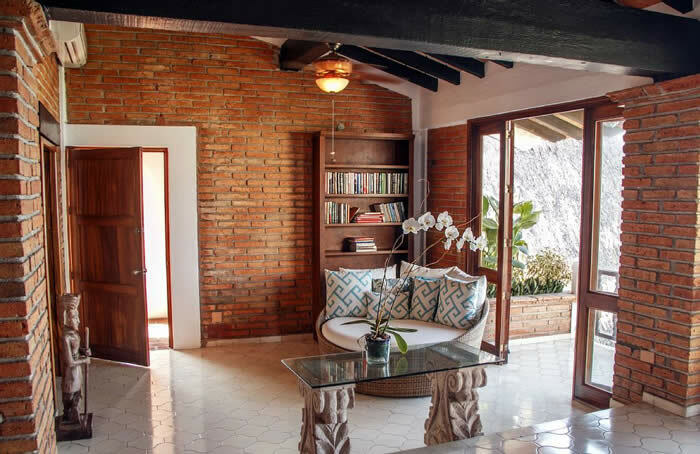 FIrst of all, the pictures on airbnb are good, but they do not do it justice. The pool deck is fantastic, and so close to the ocean you can hear the waves crashing while taking in the insane views. The four bedrooms are very appointed, with super comfortable mattresses, soft linens and plenty of pillows of very good quality. Ait conditioning works very well: it literally takes five minutes to cool off the room after you turn it on. Water pressue is great and the 4 bathrooms have rain showers. The kitchen is open air with lots of seating to enjoy the breeze and if it’s too hot just jumo into the pool and cool off. In addition to the house, you do have unlimited access to the private beach right out the back door which is almost perfect. In the morning you can have breakfast under the large Palapa, which is made to order and very good too. 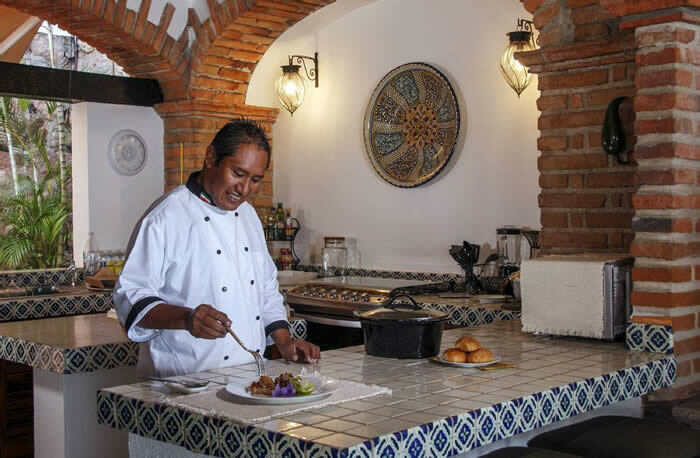 (Juan the chef was just amazing) Overall, this home attains the perfect combination between your own house and the services of a very nice hotel in a fantastic location. Finally, Harry was a superb host and has Great Staff at casa villa verde. He was very engaged in the process, gave us tips and recommendations and overall made sure we had a great time. 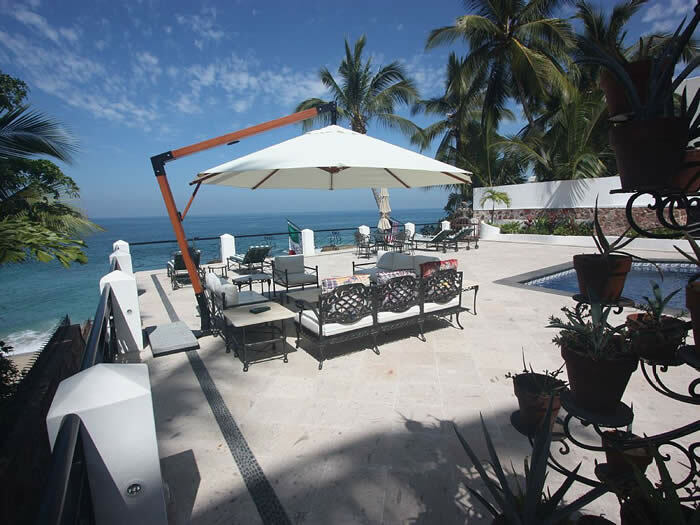 If you are looking for a 4 bedroom place in PV, do yourself a favor and click on this one — you will NOT be Disappointed. Couldn’t have asked for a nicer place. it didn’t take long to power down and start relaxing. being greeting with Margaritas and having one of the best dinners to start with we all knew this was going to be something special. Rita was a saint. we got into a little mishap the second night but she was jolly on the spot and took care of us. her suggestions were great and if you choose to go here you should listen to her. get to know her and you will understand why she has her finger on the pulse of this area. Juan our chef couldn’t have been more accommodating. there was some things lost in the translation of what we wanted but it didn’t matter. what he makes is all great and there is always a variety. my suggestion is let him do what he wants. the house people kept the place clean and hardly knew they were around. the place, well the place was incredible. my friend who went with me said the pictures do not do this place justice and was surprise how beautiful the place was. the main floor was a great place to hang. steps away from the beach or hang in the pool. the sunsets were magnificent on the patio but no green lighting. there was 6 of us,2 families, an 18 year old and a 15 year old. the beach was great for them and Rita knew of some activities they did like. this place is great for families as well as couples. definitely do it again. Our group of 7 adults and 1 toddler had an exceptional stay at Casa Villa Verde. 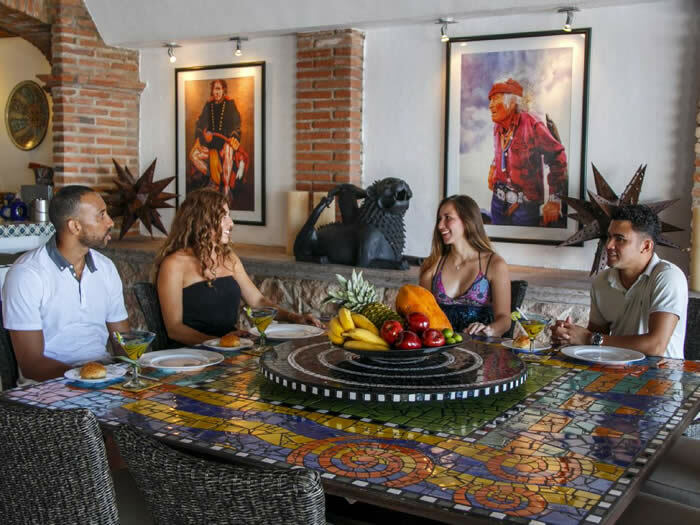 While the pictures of the villa successfully portray the traditional Mexican architecture combined with an appropriate level of luxury, the intangibles they don’t portray are what make Casa Villa Verde special. Chef Juan and his son Joel seemed to always be nearby when needed and never there when they weren’t, which is easier said than done. The same can be said for Veronica (housekeeper), and Rosario (houseman), though we had much less interaction with them due to the nature of their role at the villa. Rita (manager) checked on us daily ensuring we were getting everything we needed, though our concierge type requests were essentially non-existent because we were perfectly happy sitting by the pool/beach every day. The location was perfect; centrally located on a small cove on the best beach in Conchas Chinas, and a beautiful 10 minute walk from the south end of Playa de los Muertos. There is no better location, period. We arrived at Casa Villa Verde with the intention of using Chef Juan for the bulk of the meals, augmented by one or two dinners in town. As it turned out, we never had a meal away from the villa. Not only was Chef Juan’s cooking exceptional, we enjoyed being able to climb out of the pool, adult beverage in hand, and sit down to a beautifully prepared dinner in a span of 5 minutes. 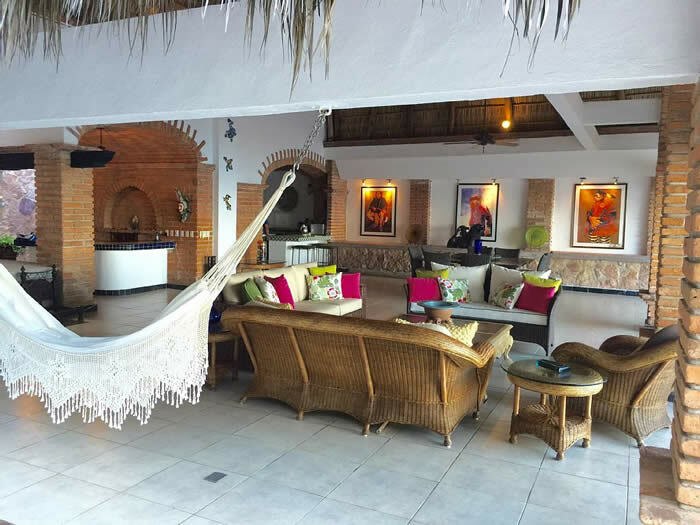 We thoroughly enjoyed our stay at Casa Villa Verde, and can’t wait to return. Thanks for the hospitality! Chef Juan Meal Recommendations: His rice, beans, and variety of home-made salsas were all exceptional. Chef Juan makes a lot of food, so expect there to be far too much for every meal. Everything was good, but these were the standouts. Note: Though we took a barely walking toddler, and it worked great for our family, the villa is NOT toddler friendly. Harry made sure we knew that before we booked, and it was fine with us, but don’t expect to be able to turn your back on small kids without some serious consequences. There’s a pool, lots of stairs, and railings that children could easily crawl through if given the opportunity. Our group of 8 could not have had a better stay at Villa Verde. The house is even better in person than it appears in the photos. We have stayed in PVR many times (3 times in the past year), and this was by far our best experience. The beach in front of the house is amazing, and it is a short walk to town on the beach…very cool! 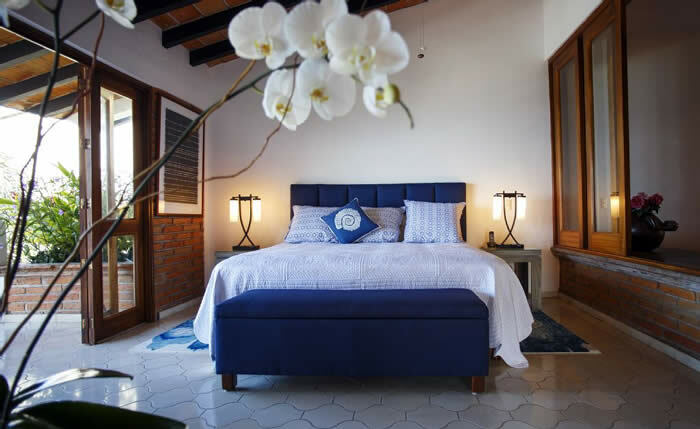 Every guest was afforded privacy due to the layout of the bedrooms on multiple levels. The living area on the main level is spectacular! We could have easily had a party for 50 of our closest friends, but the space still felt intimate. The entire house was absolutely spotless the entire week, and the staff took perfect care of us all. Veronica and Rosario were amazing. Juan will happily prepare anything you want to eat for any meal and does a fantastic job. Rita (property manager) checked on us daily, and Harry (owner) was quick to call upon our return home to get feedback on our visit. I really could not think of a thing that would have made our visit any better…except for a few more days! We are already planning our return. Thanks to all for making this a truly memorable trip. 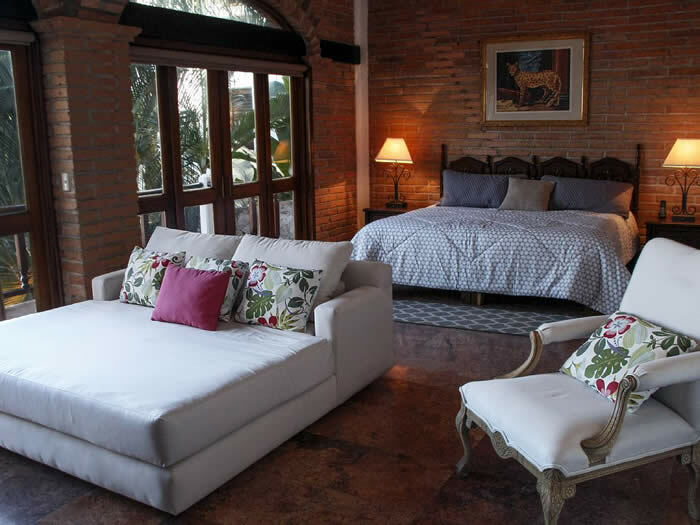 Casa Villa Verde offers an amazing getaway. The beachfront home is absolutely beautiful and set up to truly accommodate you while on vacation. Enjoy the pool or beach. Relax the day away on the balcony soaking up the sun. Watch the picturesque sunsets as the day turns into night revealing a fabulous star-filled sky. Savor the fantastic Mexican cuisine prepared by Chef Juan. Take in a bit of local culture in El Centro and enjoy the Malecon. Daily excursions are available and easy to coordinate with the staff. My experience at Casa Villa Verde was wonderful, I highly recommend this property and look forward to my next visit. My holiday week was extraordinary! 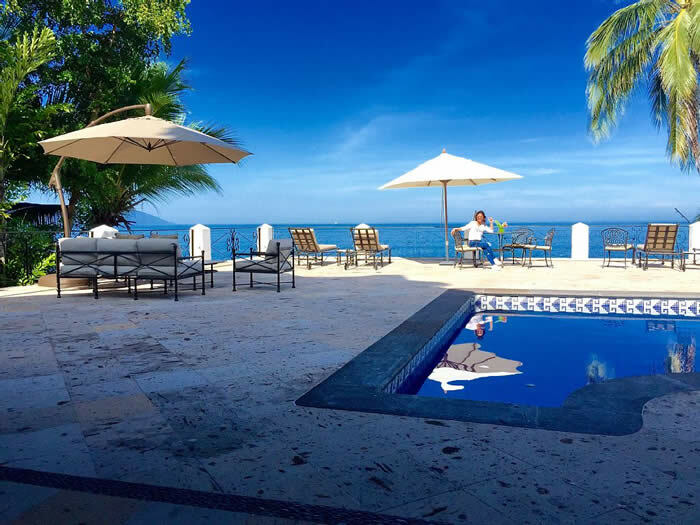 Casa Villa Verde in Conchas Chinas is truly a piece of paradise with beautiful sunsets, peaceful walks on the beach, shopping in El Centro, walks along the Malecon (boardwalk) and delicious meals prepared by Chef Juan. It is truly a beautiful place for a quick getaway. I highly recommend Casa Villa Verde in Conchas Chinas. 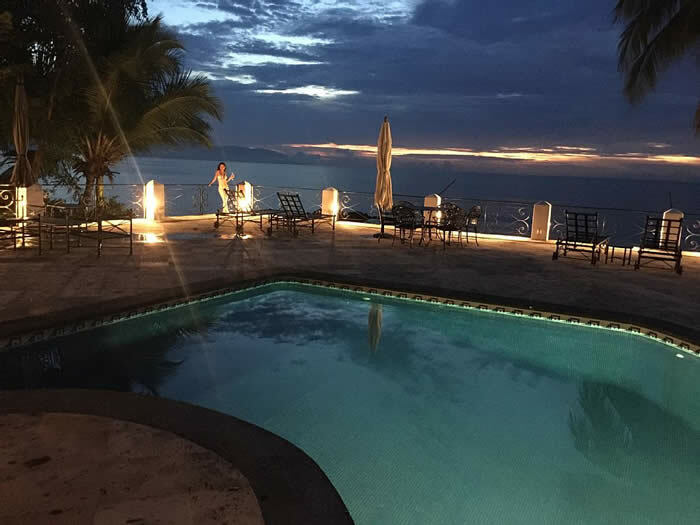 My wife and I were headed back to PV for some much needed R and R. This was our second stay at this location and I can’t wait for a third. The location is incredible. Step out the back to the beach and it feels like your own private cove. The property is spectacular and feels like home. 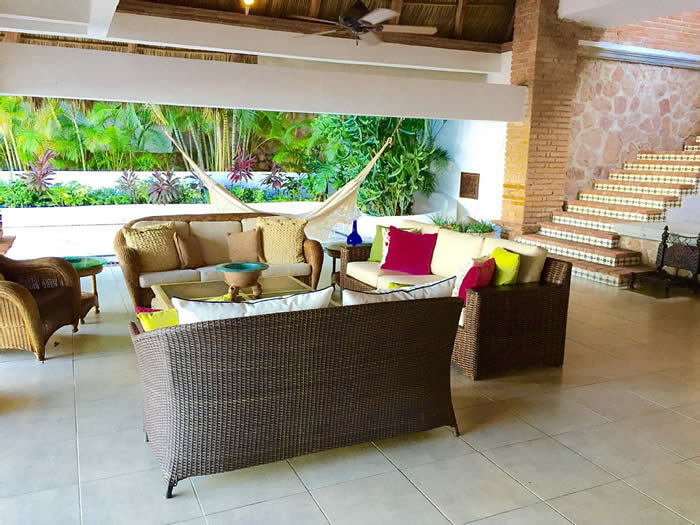 It’s easy to kick back in the hammock or grab one of the comfortable chairs and enjoy the view or hop in the pool and laze the day away on a float. However, the highlight of this trip was the food. Juan is the personal chef and is available for as many meals as you want to eat. We like to get out and about so we chose 1 meal a day. I wish that I could tell you all of the things he made but the Chile Rellano’s and the street taco’s were enough to keep the dream alive to return very soon. Seriously, this guy can cook. A Chef in every sense of the word. He turned tomatoes and peppers into a reduction sauce that made everything taste like old Mexico. An almost smoky flavor that made me yearn for leftovers. I don’t know that I can describe all of the dishes that he made but it made me realize how we in the US have really ruined Mexican food with bland sauces and too much cheese. I think next time we are going to take family and do an “all inclusive” experience. 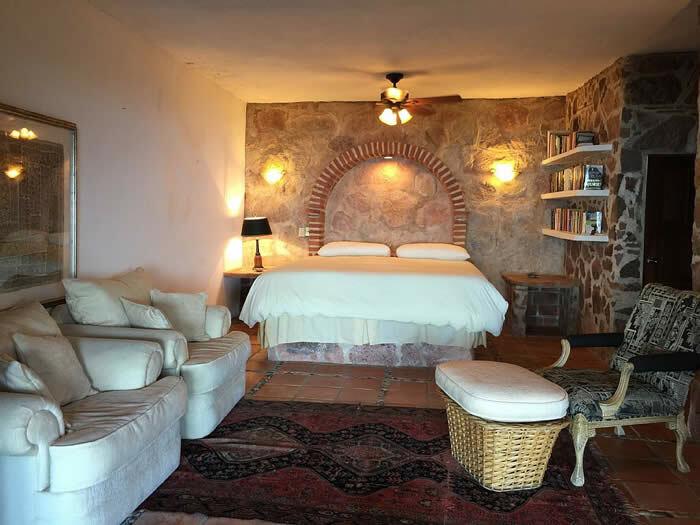 The property has generous sized bedrooms and comfortable accommodations. The pool and beach are right there. Downtown PV is a short 10 to 15 minute walk and watersport rentals are even closer. Why go anywhere else! If you do go, try to get out at least once and find the Red Cabbage. It is the only restaurant in PV that has been written up in Bon Appetit. I can’t wait to get back to this property. I’ve been to Mexico close to 20 times. I’ve had good experiences in every city I’ve been to but this is the one that I want to come back to every single year. This house is a great house for family getaways. We went there with two families and could not have asked for anything more. Best location and private beach at your back door and the staff make you feel right at home. Rita, the manger, can help you with any need whatsoever and does so with a special touch that makes you feel very welcome. Chef make execeptional local foods and will make anything you require. I wil be back and staying here. Harry is quite helpful with any requests and can answer any questions you have and is always accessible. Grant R.
Perfect location for our dream wedding. For as long as I can remember, I have dreamed of a beautiful desitation wedding in a tropical beach location. 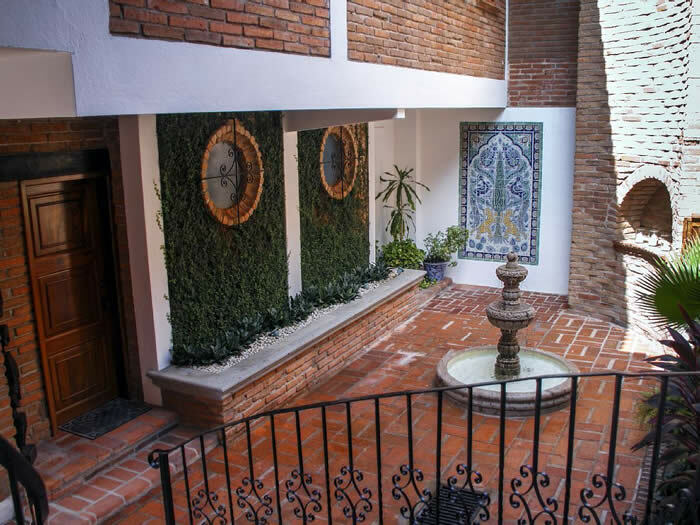 We were looking for a large beautiful home on the beach with a spectacular outdoor courtyard. Casa Villa Vallarta delivered. Not only was the location connected to the most beautiful beaches, but the house was absolutely amazing. So, so, beautiful! The owners arranged for us to consult with the staff on the menu and expectations well in advance. The chef made recommendations for our menu that would best compliment the freshes food available locally. The staff went above and beyond to lay out special gifts we had sent ahead of time to made the event memorable and personal for our guests. It was very apparent the staff wanted our day to be perfect. After an amazing ceremony on the beach we had dinner served to just over 100 guests around the pool. The food was absolutely amazing. The margaritas and spectacular sunset transitioned the evening very nicely to dancing as the deck was transformed with strings of lights --live music echoing throughout the house. All in all, there is nothing I would have changed about this home. It was exactly what I was looking for in every detail. 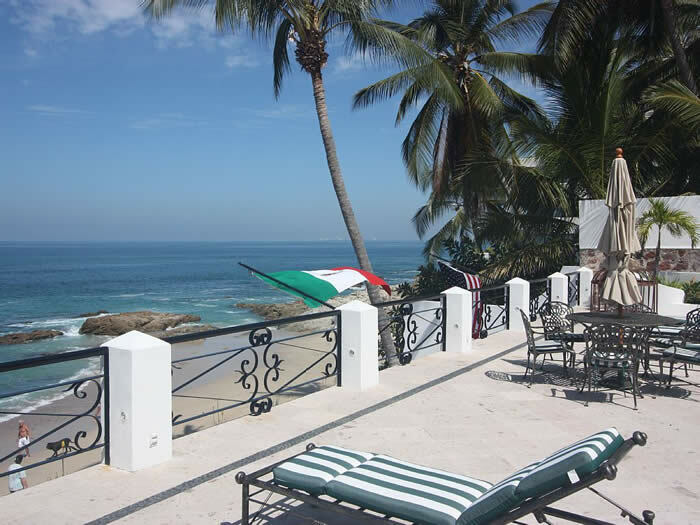 I would highly recommend the property to anyone looking to travel to Puerto Vallarta. Camille M.
It is always nice to get out of the cold and go to a warm sunny beach. But, Casa Villa Verde was a very special place for a mid winter vacation. 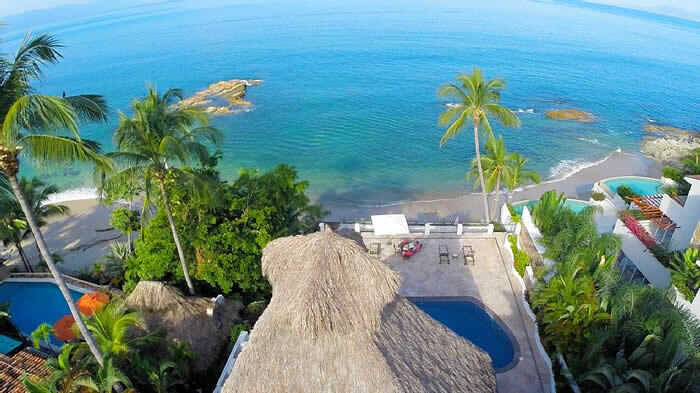 We have been to Puerto Vallarta a number of times but, Casa Villa Verde was the best ever! The house is spectacular. Huge Palapa over the living room and dining room. Open to the tropical weather. The views are amazing; the staff was great; and the chef prepared delicious Mexican and American food for us everyday. 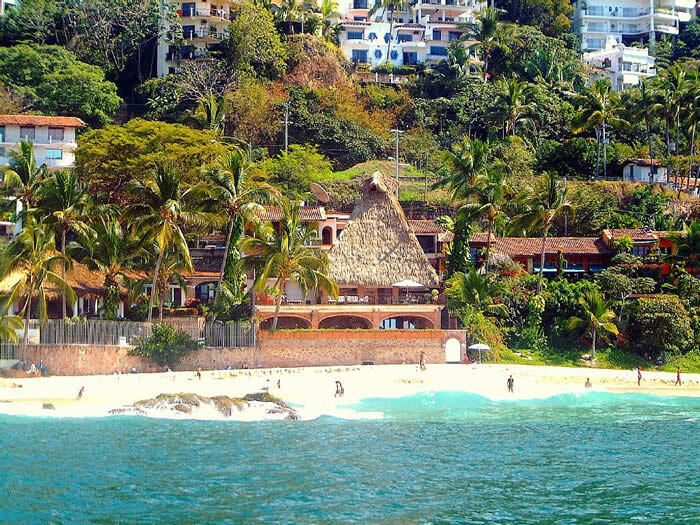 The beach really is the best one in all of Vallarta. The water is warm and it is easy to enjoy when you are right there. The concierge was able to keep us busy exploring all the Vallarta has to offer. You must get out on the water in some kind of boat to see Vallarta from a completely different viewpoint. We had one of the best vacations ever and look forward to returning as soon as we can. We know that anyone would love this place! Gary B. 50% due up front. Remaining 50% is due 90 days before arrival. We strongly recommend trip cancellation insurance as we do not issue any refunds. By special request, we also make arrangements for airport transfers, baby sitting, massages, mariachi bands, chauffered cars and flower delivery for that special occasion.